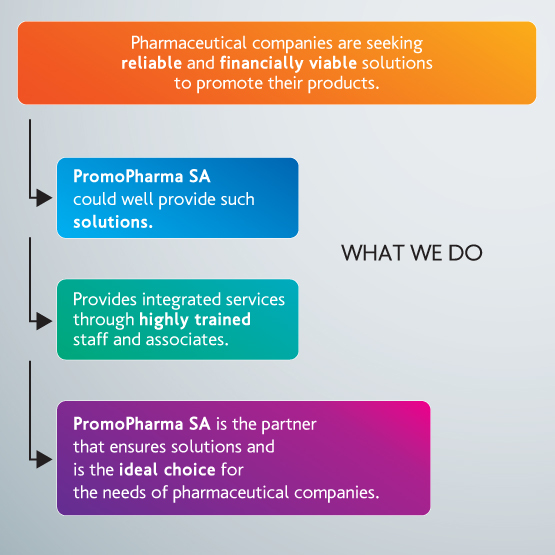 In brief | PromoPharma SA. PromoPharma SA is a purely Greek owned company established in 2007, in Kantza, Attica. Owing to its highly specialized staff and associates, the dedication to goals and the imposition of high standards throughout the process of pharmaceutical products promotion, the company has within a short time earned market’s trust, having contracted collaboration agreements with big international companies operating in the health care sector. It is, also, worth noting that the founding of PromoPharma SA was exclusively financed from own funds.